Inspired by early-1900s American design, Bancroft embodies traditional elegance with its subtle lines and refined curves. Rest this 24-inch basin atop the Bancroft pedestal for a sink with nostalgic appeal. 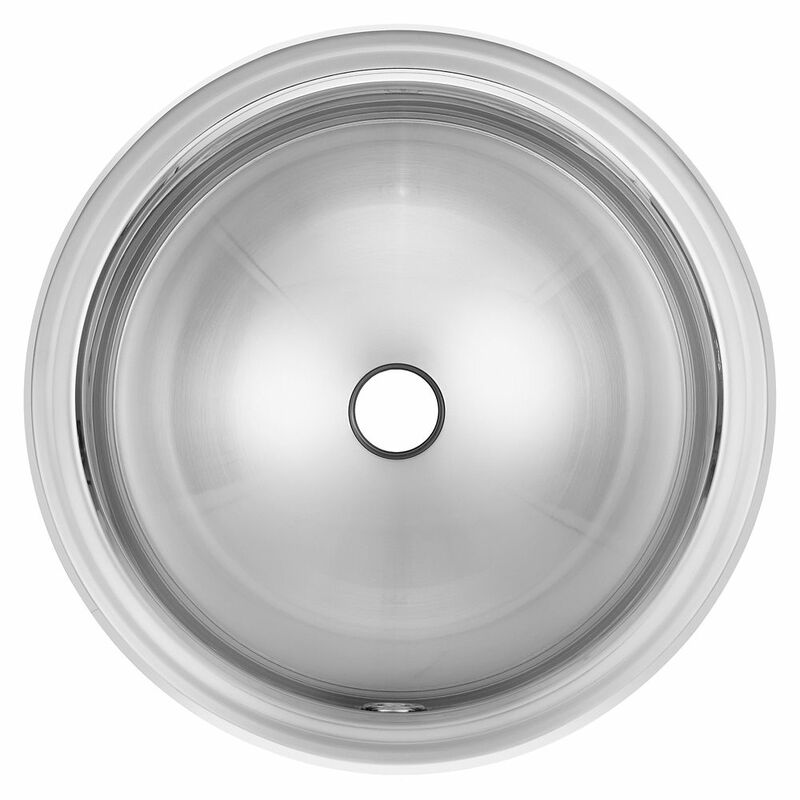 18 Ga drop-in basin - 16-3/4" round Premium 18 gauge stainless steel topmount round vanity basin. Sink features front overflow, silk rim and bowl for bright and shiny good looks without sacrificing on ease of cleaning, and 1.25" waste hole. Waste fitting is not included. Makes an excellent powder room sink on its own, or when paired in an expanse of solid surface in a master ensuite.